Then And Now: The Labor Of American Human Space Flight : The Picture Show Black-and-white film photos of the people behind NASA, from Apollo to the space shuttle program. In 1972, photographer Michael Soluri visited the Kennedy Space Center in Florida and documented the roles of technicians, engineers and others in the labor force who keep the show running for NASA's space programs. 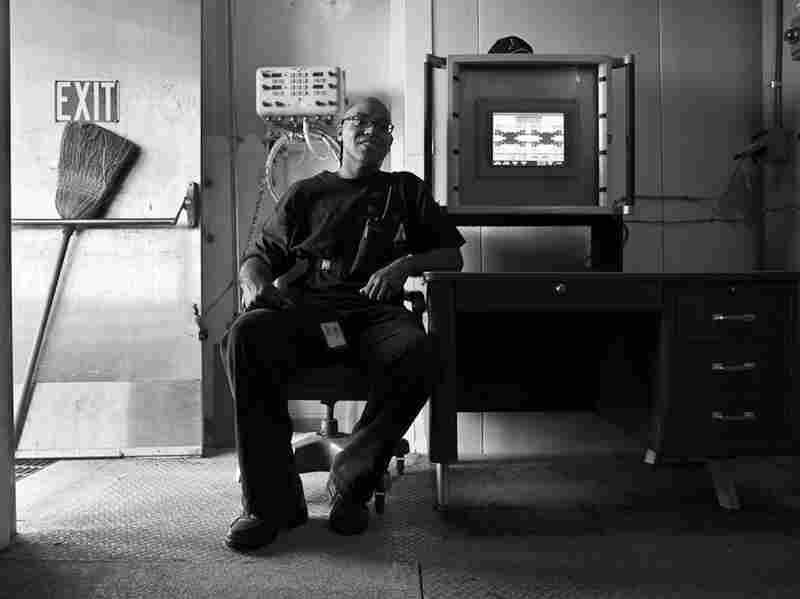 He returned again in 2006 and photographed the last few years behind the scenes at NASA. As the space shuttle program comes to a close, Soluri shares with us images he made while getting such rare access, from the days of the Apollo program to the end of the shuttle era. 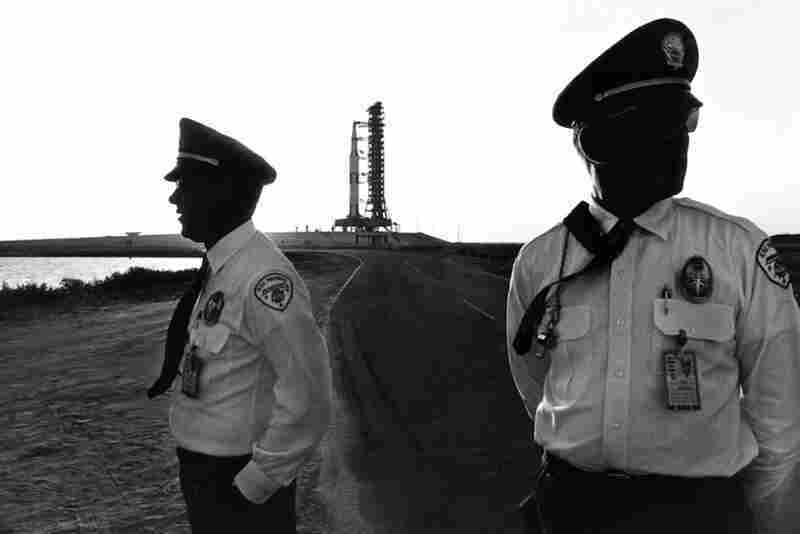 Security guards at the perimeter of launchpad 39A and the Saturn Apollo 16 moon rocket on the eve of its launch in April 1972. John Young, the commander of Apollo 16, would — nine years later to the month — be the first commander on the maiden launch of the space shuttle program in April 1981. 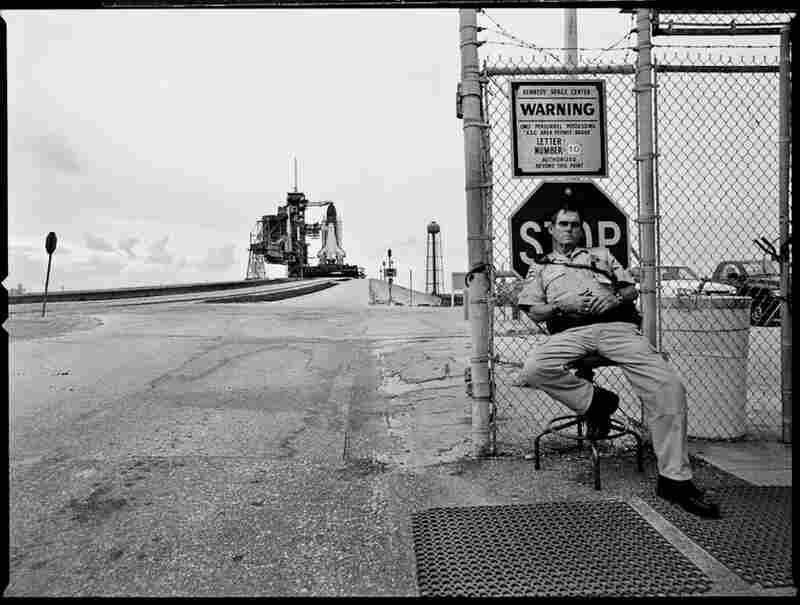 A security guard watches the perimeter fence surrounding launchpad 39A and space shuttle Atlantis in April 2009. Thirty-seven years after the previous portrait, there's the same Apollo-era launchpad base, flame trench, access road and fence infrastructure. 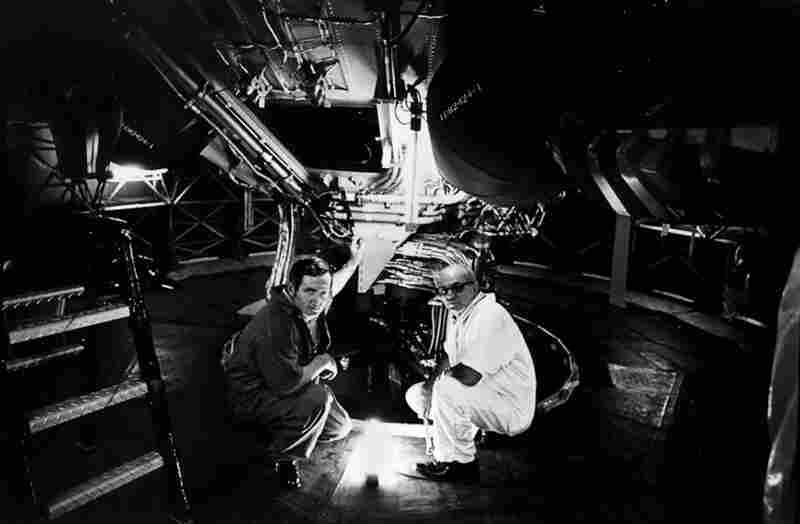 Two rocket engine technicians inside the third stage of the Saturn V Apollo 17 moon rocket in April 1972. Apollo 17 was the last human landing mission to the moon in the 20th century. 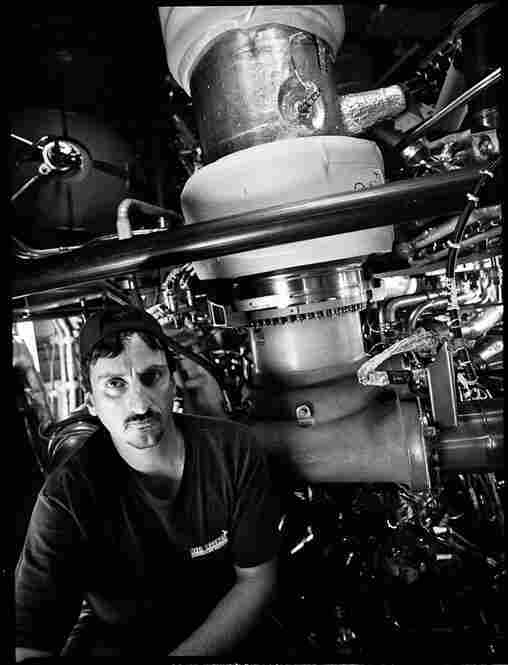 United Space Alliance technician Jim Deleie in the shuttle Atlantis' rocket engine compartment in April 2009. Now that the last shuttle has flown, Deleie will most likely return to Orlando International Airport to his former position as an aircraft jet engine mechanic. 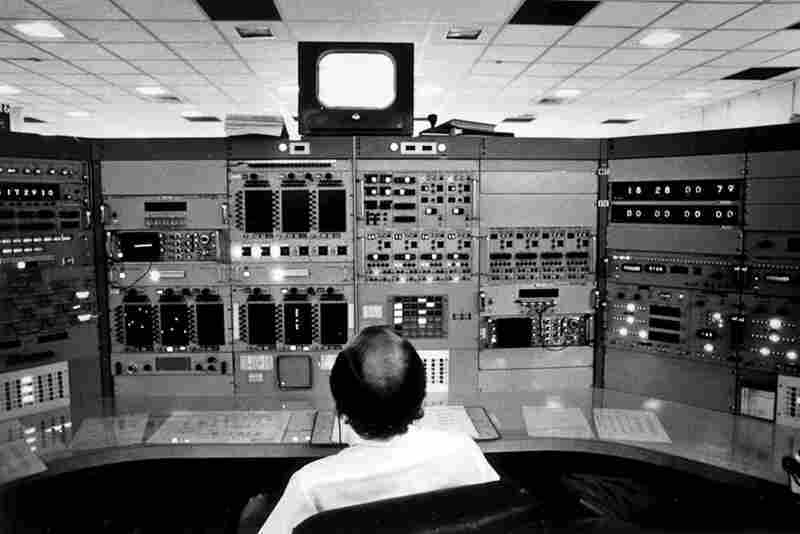 A Kennedy Space Center Saturn Apollo telemetry engineer in 1972. Arthur Graine, computer engineer responsible for the software operation of the Shuttle Rotating Service Structure on launchpads A and B, in September 2008. 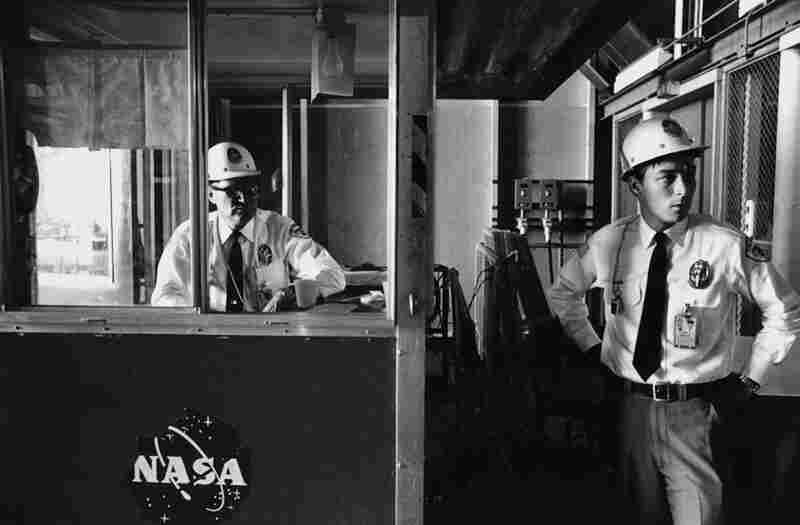 Security guards watch the entrance of the Vertical Assembly Building where the Saturn V rocket and Apollo module and lander are configured for launch in April 1972. 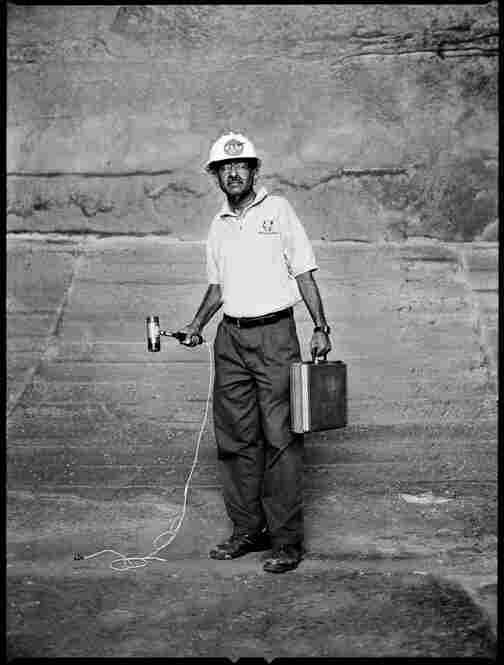 Ravi Margasahayam, a flame trench/blast shield thermal and acoustic engineer, stands on the blast shield in the Apollo-era flame trench of shuttle launchpad 39A in March. 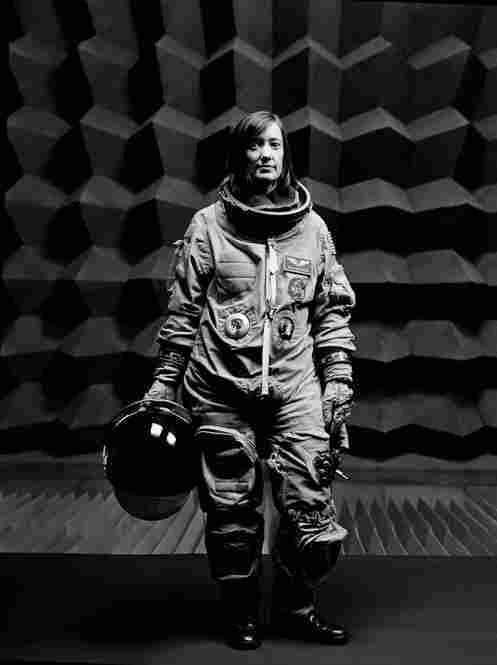 NASA Astronaut Megan McArthur in October 2007. McArthur was the robotic arm/flight engineer on STS-125, the shuttle mission that essentially saved the then-ailing Hubble Space Telescope in May 2009. 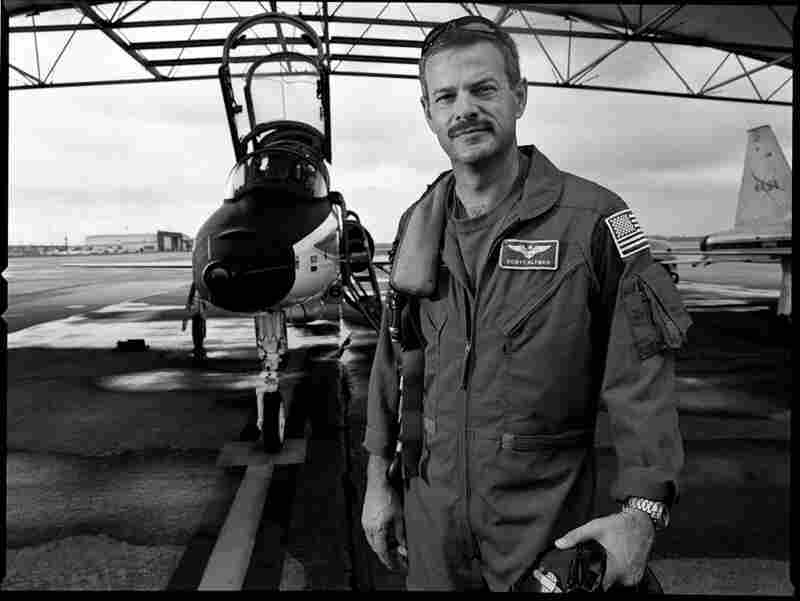 Scott Altman, commander of STS-125, the last shuttle service mission to the Hubble Space Telescope, in July 2008. 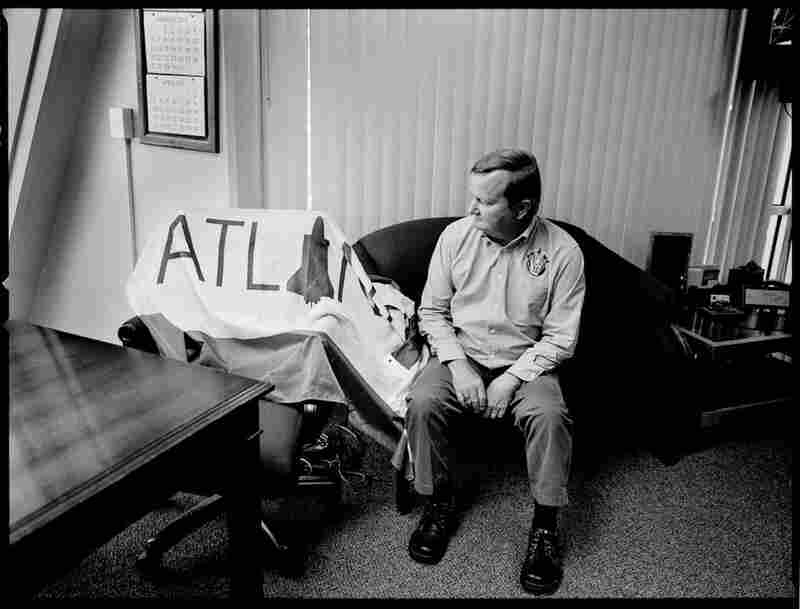 Altman resigned from the astronaut corps in 2010 and is an executive vice president for an aerospace firm in Maryland. 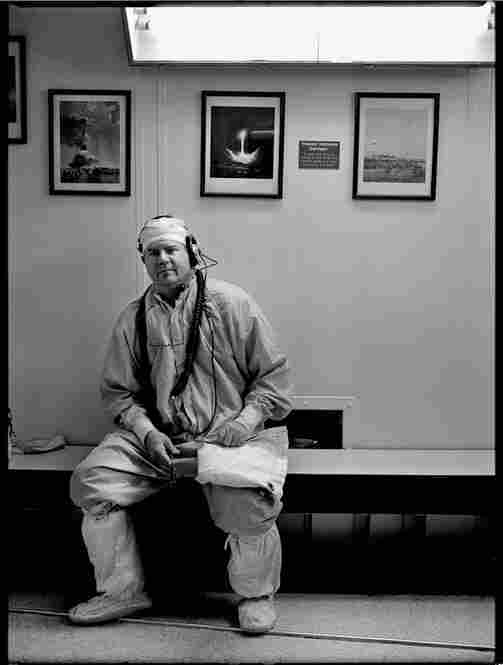 Rene W. Arriens, a space shuttle and launchpad closeout technician, in 2006. He is one of a very small group of specialized technicians who prepare the astronauts with a final spacesuit checkout and help them get situated in the shuttle crew cabin safely for launch. Arriens has been working on his resume for nearly a year. Michael D. Leinbach, space shuttle launch director since 2000, gave the last-ever final "go" for launch for Atlantis on July 8. Space shuttle Atlantis' landing Thursday marked the end of the 30-year space shuttle era. 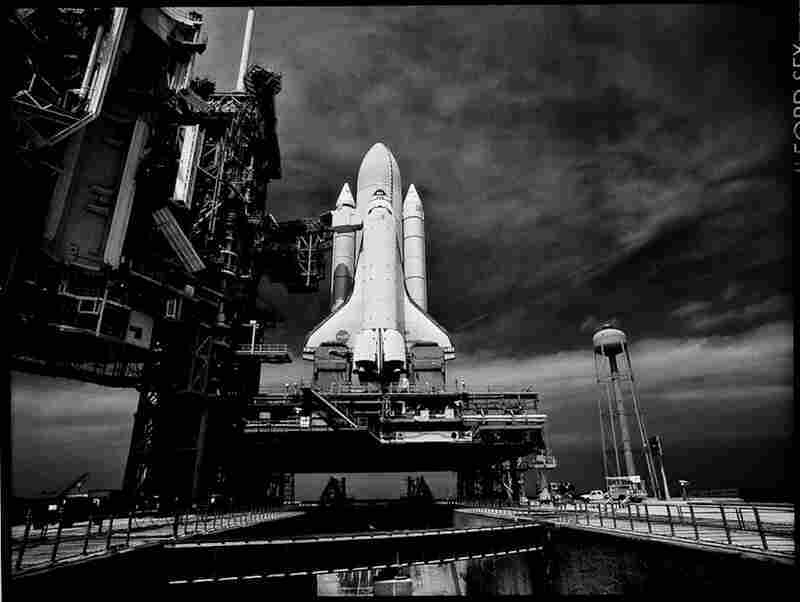 For me, it provides a compelling bookend to a personal journey begun in 1972, when, as a very nascent photographer still in school, I portrayed the Apollo era labor force — never knowing some 34 years later I'd be portraying the space shuttle labor force also on black-and-white film. Beyond my fondness for space exploration, there was an intellectual inspiration for my Apollo documentation that became much clearer to me when I began portraying the shuttle labor force in 2006: Norman Mailer's Of a Fire on the Moon — his first-person account of Apollo 11 and man's first landing on another celestial body. What resonated with me was this essential line: "At NASA," he wrote in 1969, "the elegance was in the design of the engineering systems rather than in the manners of the men." While that tendency at NASA certainly hasn't changed, I found the manner of the labor force much more compelling than visually extolling just the elegance of its technology. As a result, Mailer's writing motivated my thinking toward visually discovering the manner of NASA's labor force in context of what I felt would be the evolving history of human and robotic space flight. A few of the circumstances that framed those Apollo-era portraits also inspired me to portray a few of the shuttle-era labor force in similar environments at the Kennedy Space Center. Although photography has become a digital medium, there was something wonderfully analog — something transcendent — in the subject matter I was portraying. After all, the day job of this labor force worked to launch astronauts in spaceships so that they could work their day job ... in space. I couldn't imagine not documenting the sublime nature of the labor of human space flight in any other medium other than film. See more of Michael Soluri's work on his website.